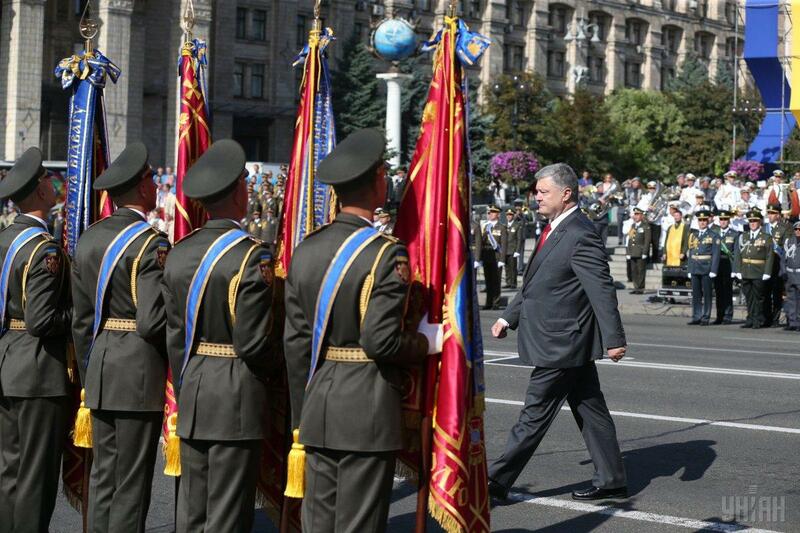 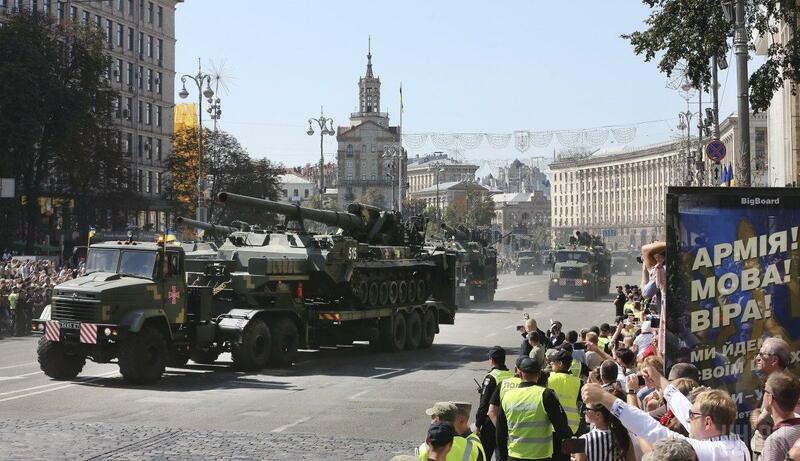 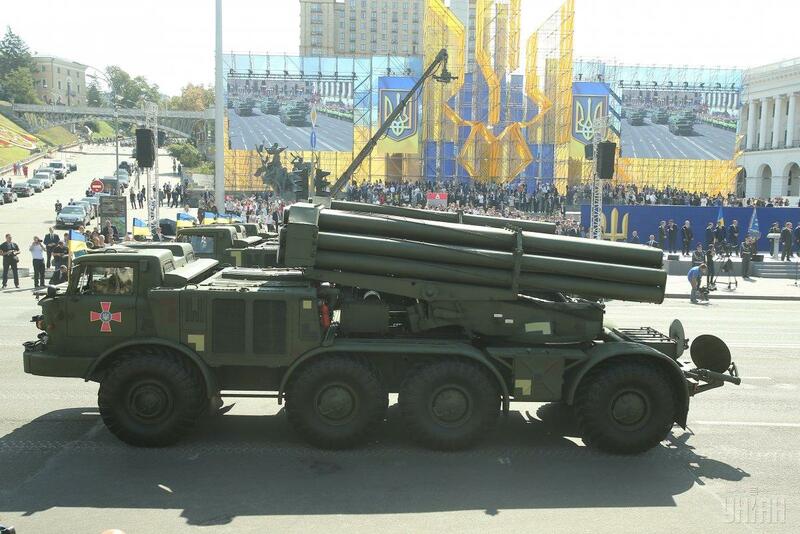 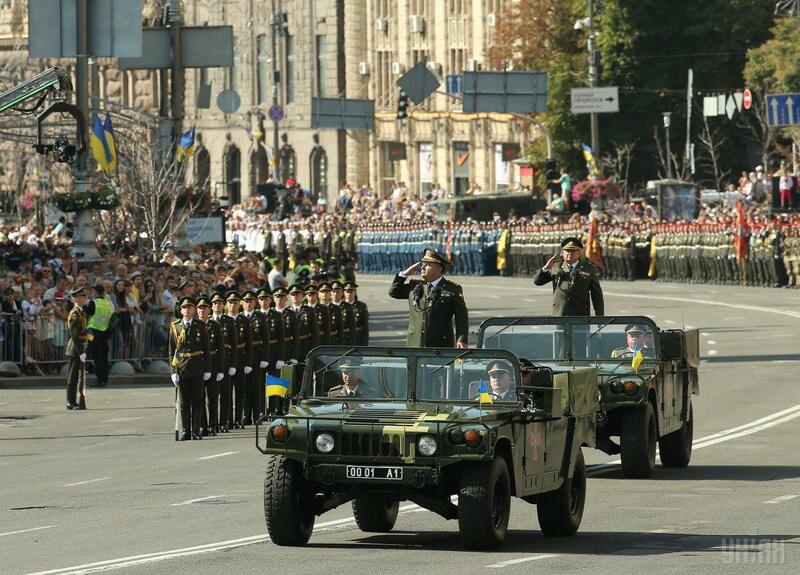 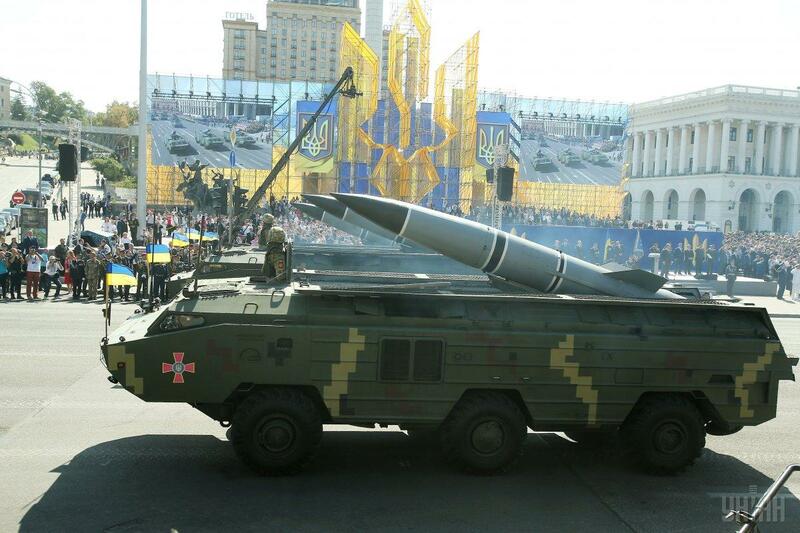 The parade was inspected by Ukrainian Defense Minister, General of the Army Stepan Poltorak. 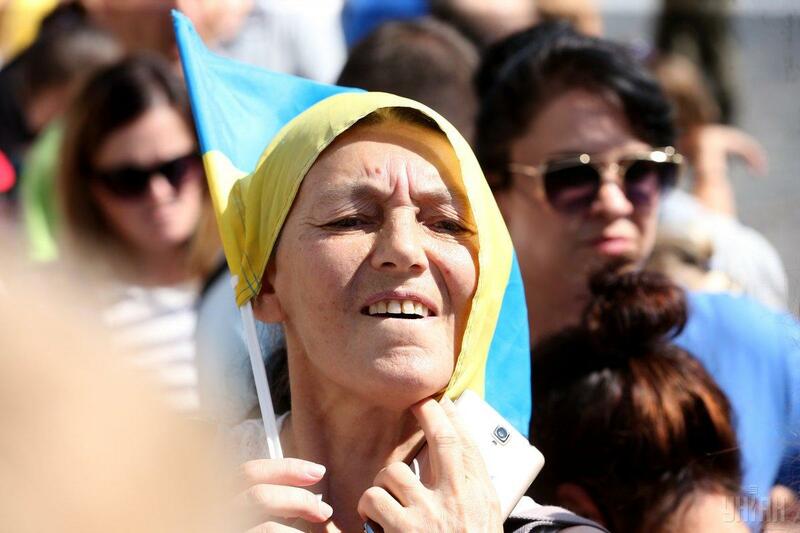 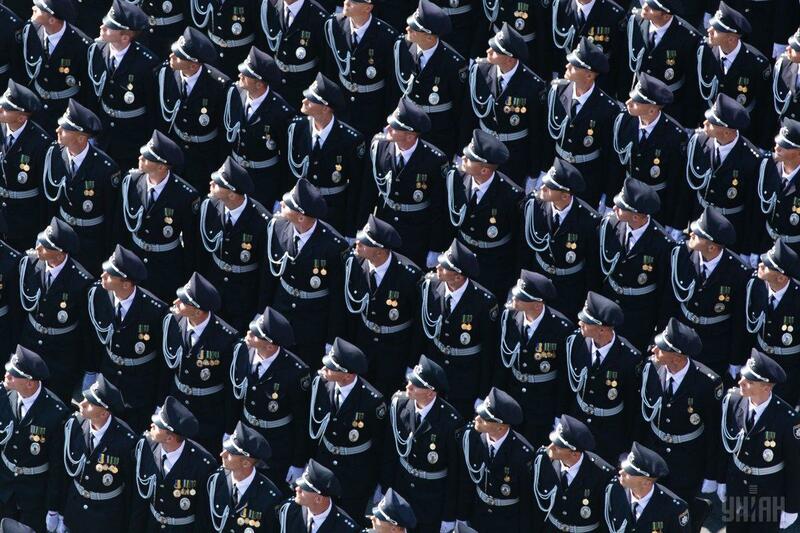 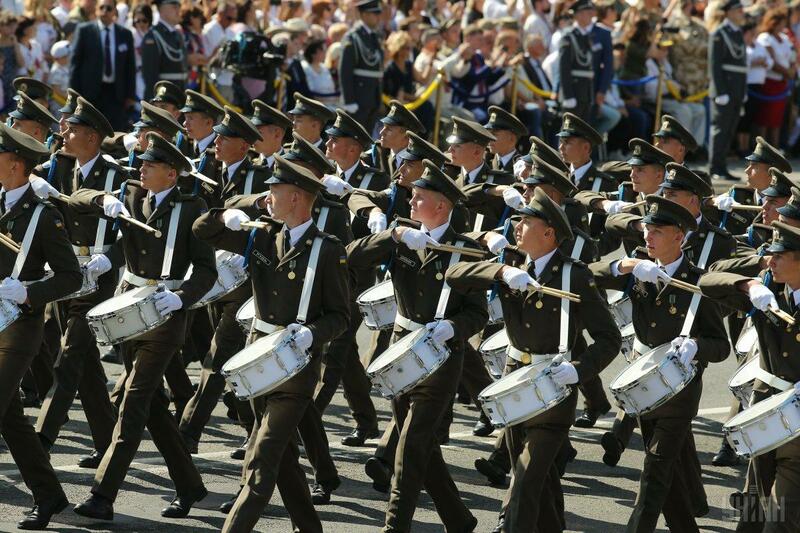 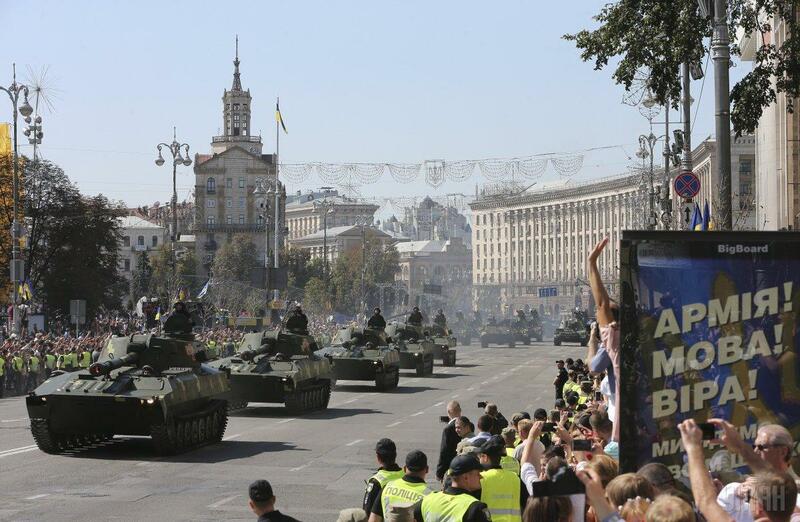 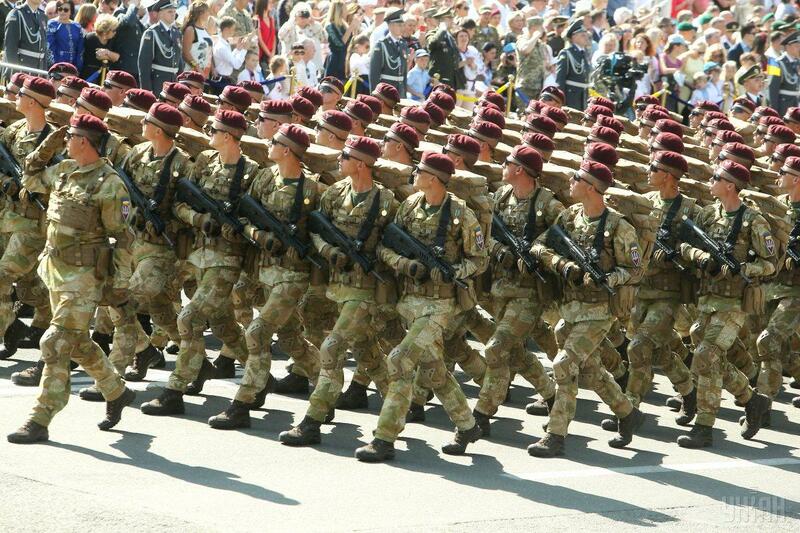 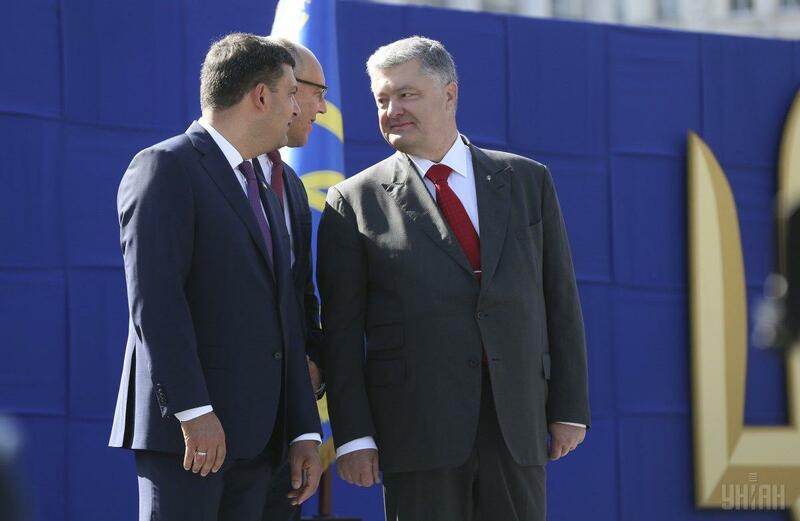 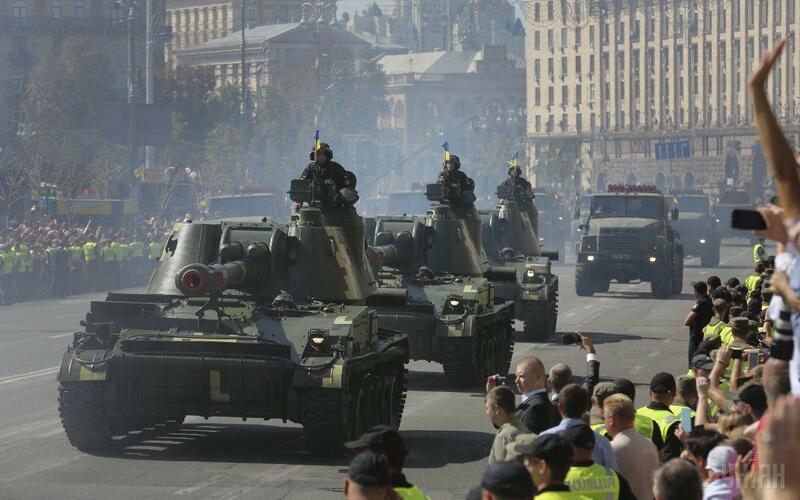 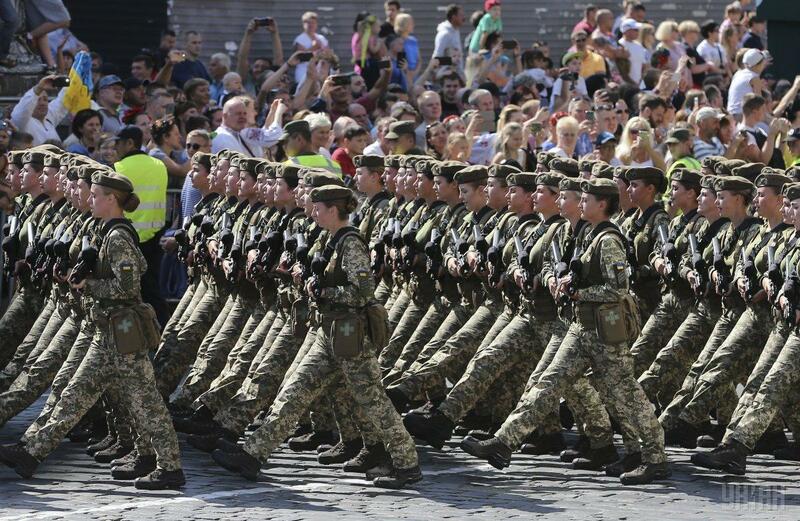 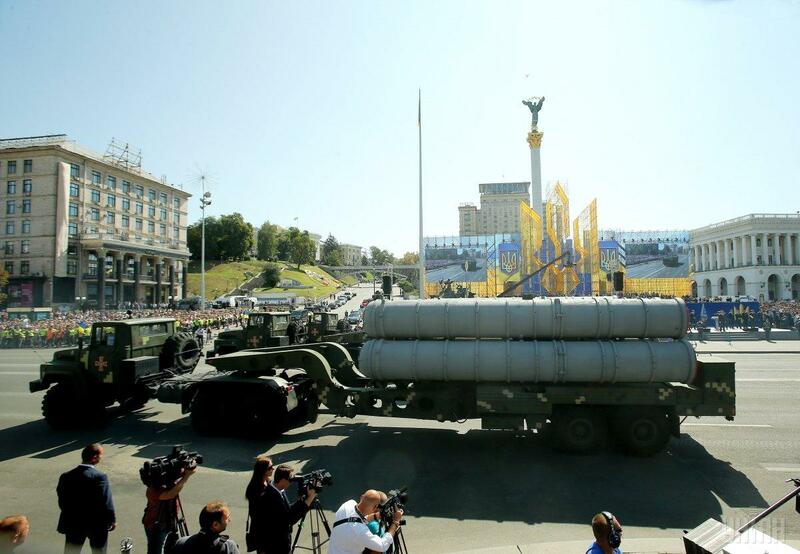 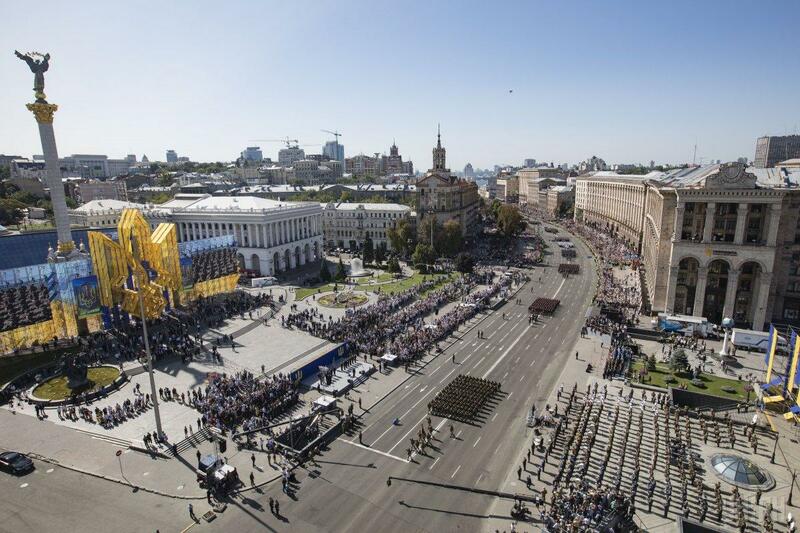 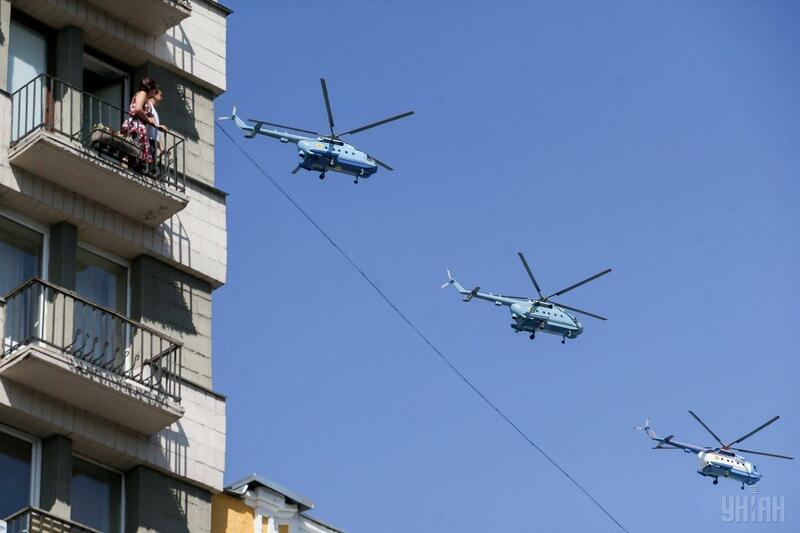 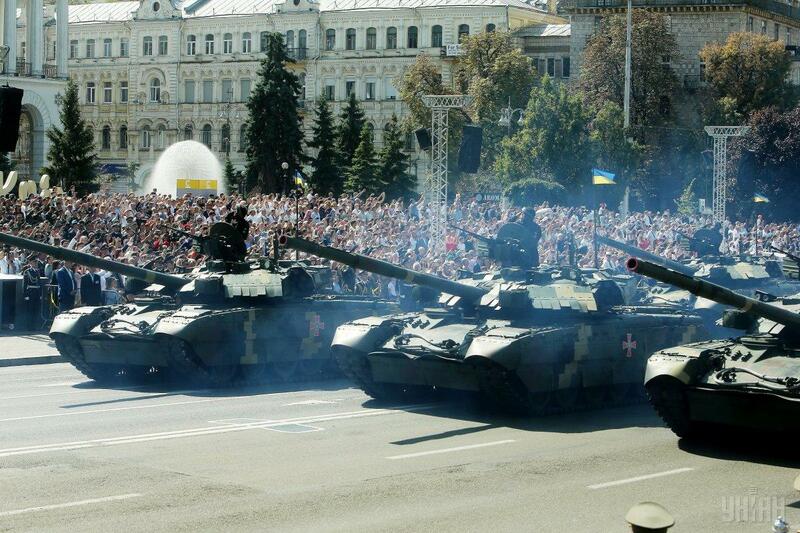 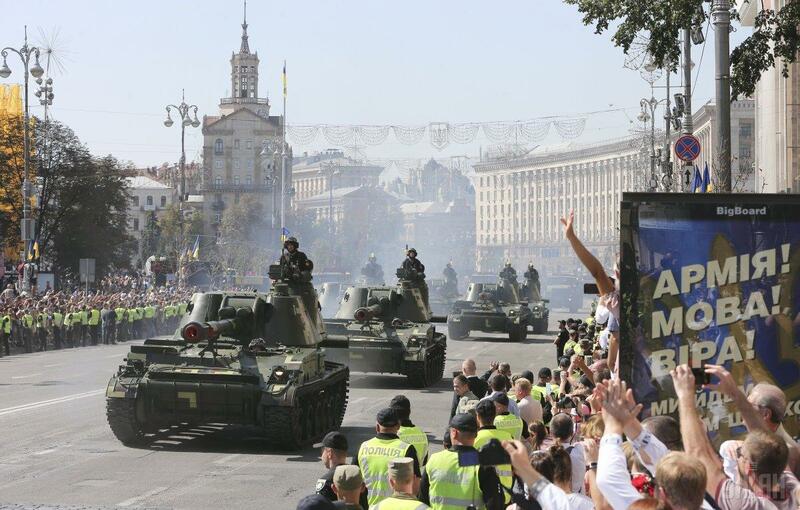 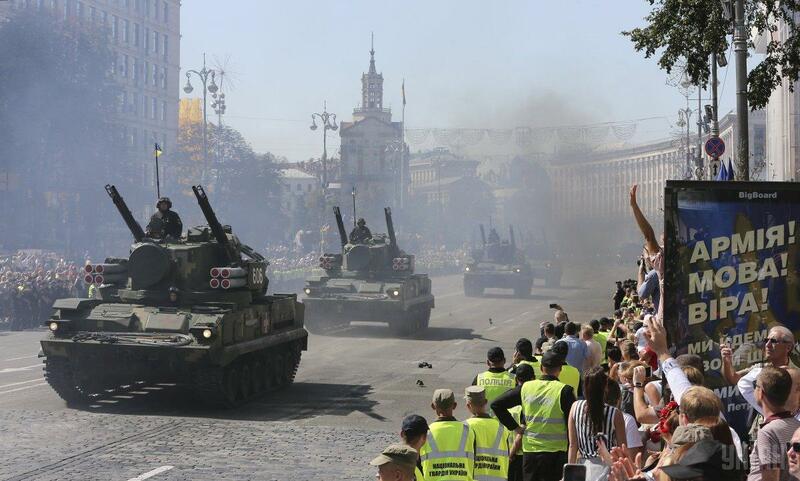 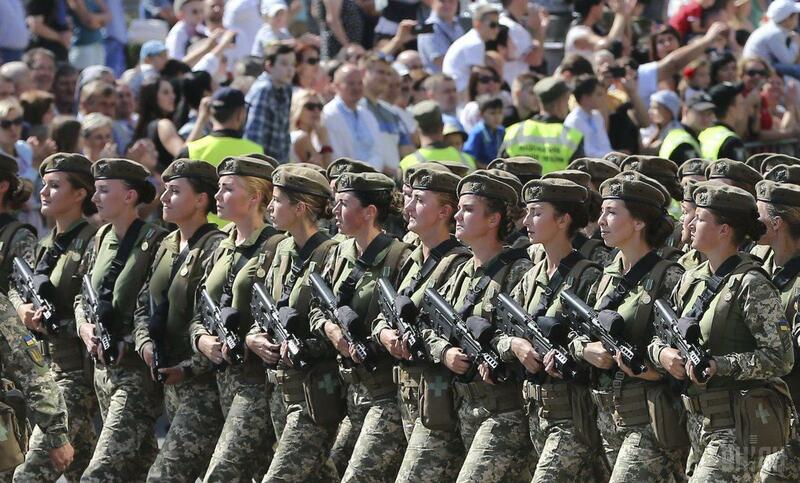 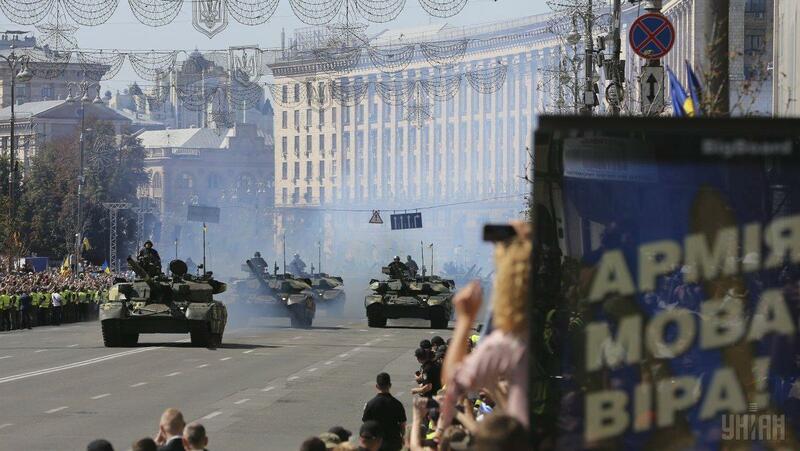 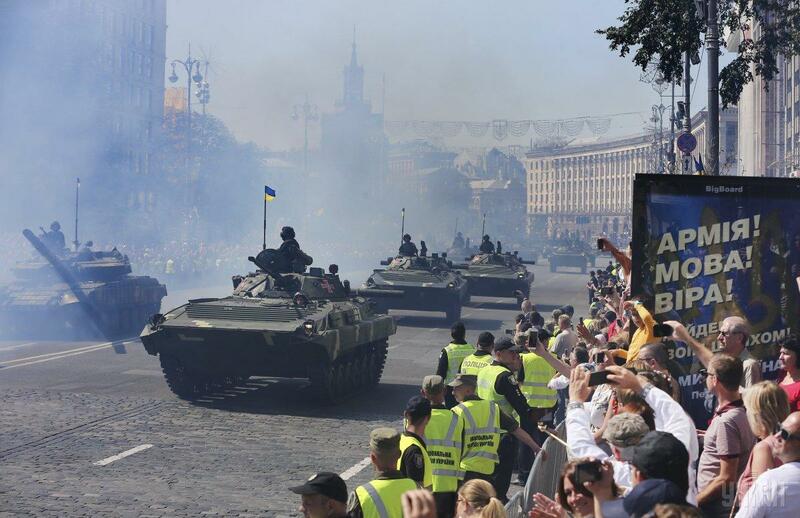 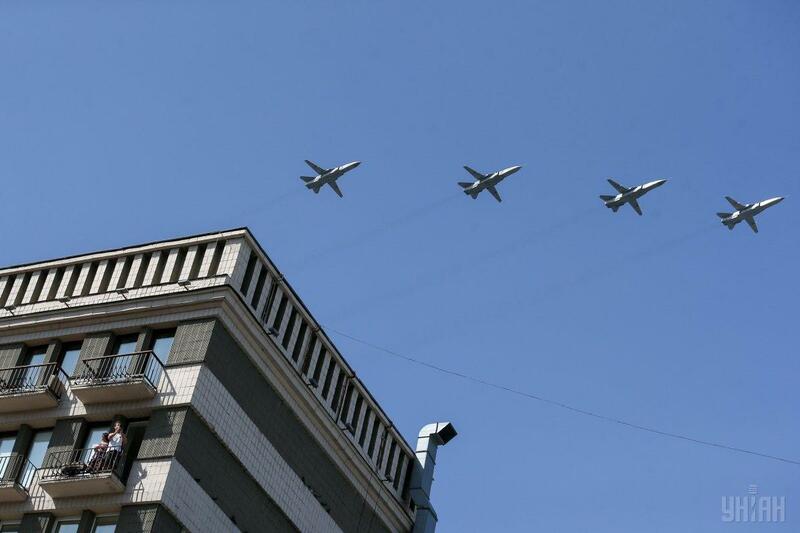 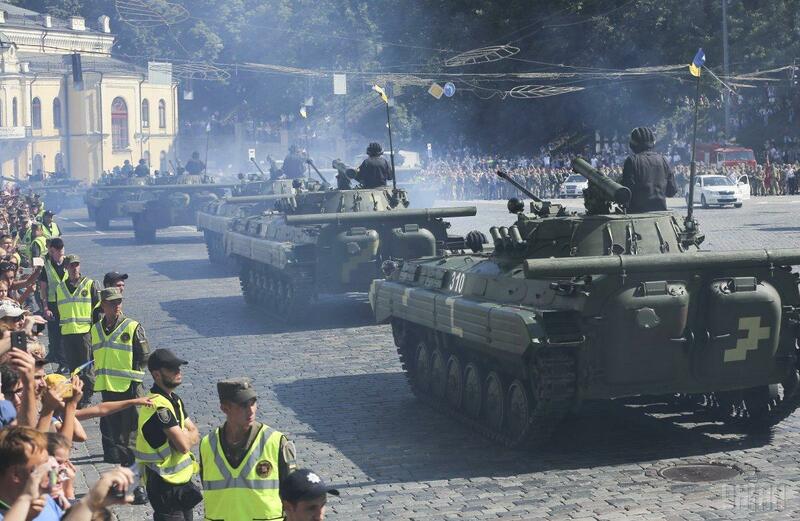 Kyiv hosted a military parade on the 27th anniversary of Ukraine's independence on August 24. 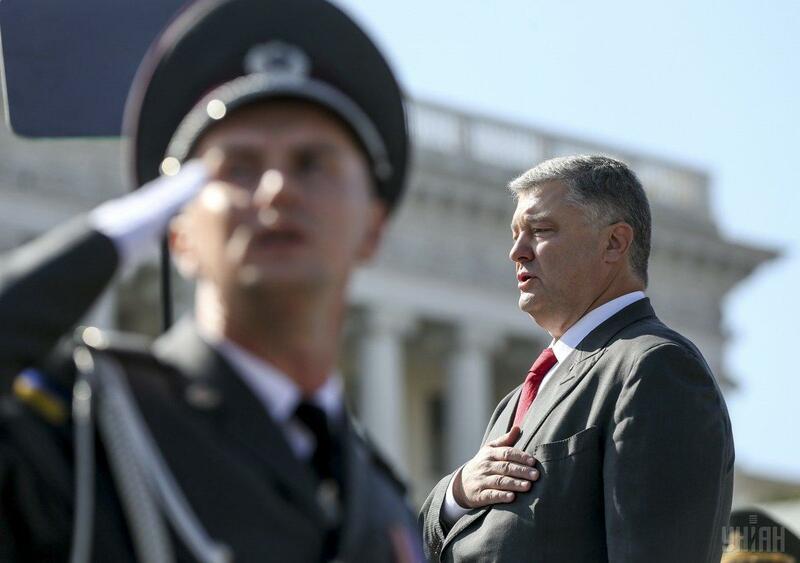 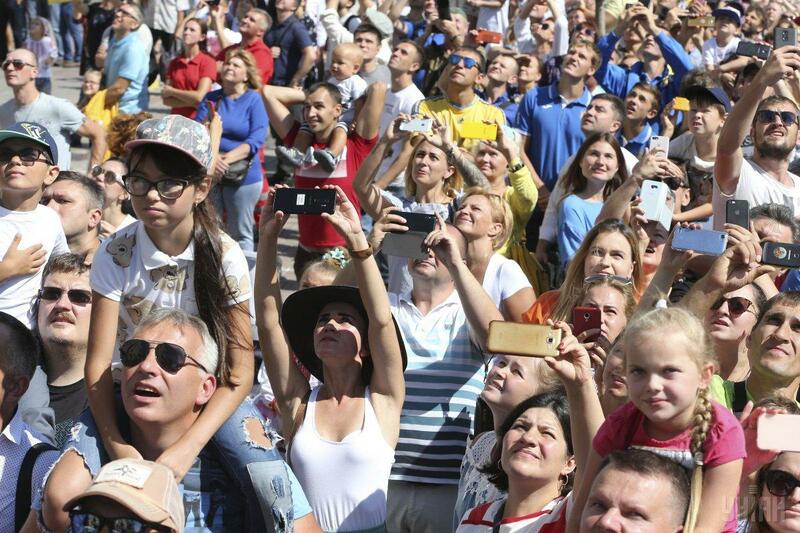 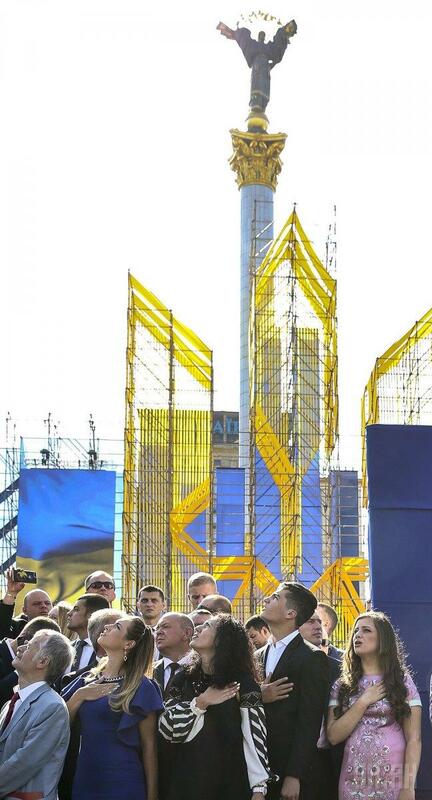 Ukraine's national anthem was performed by a choir amid a solemn gun salvo, an UNIAN correspondent reported. 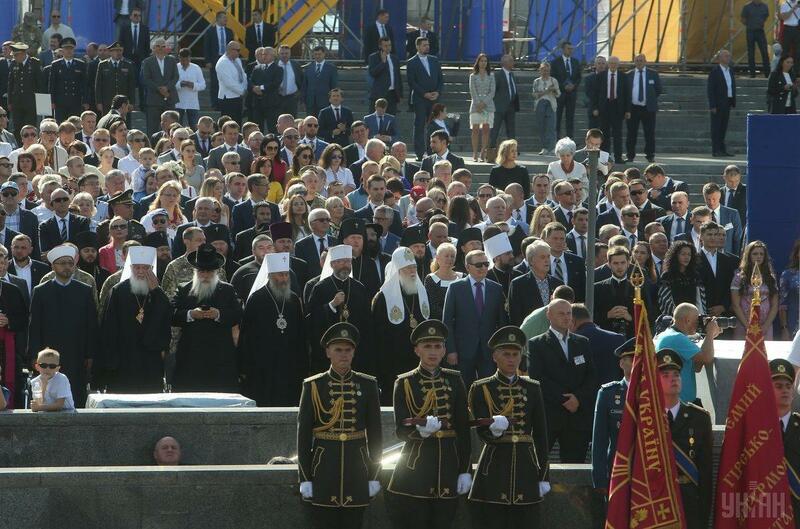 Then the choir performed a solemn prayer for the army of Ukraine, after which the military parade being accompanied by the military band began. 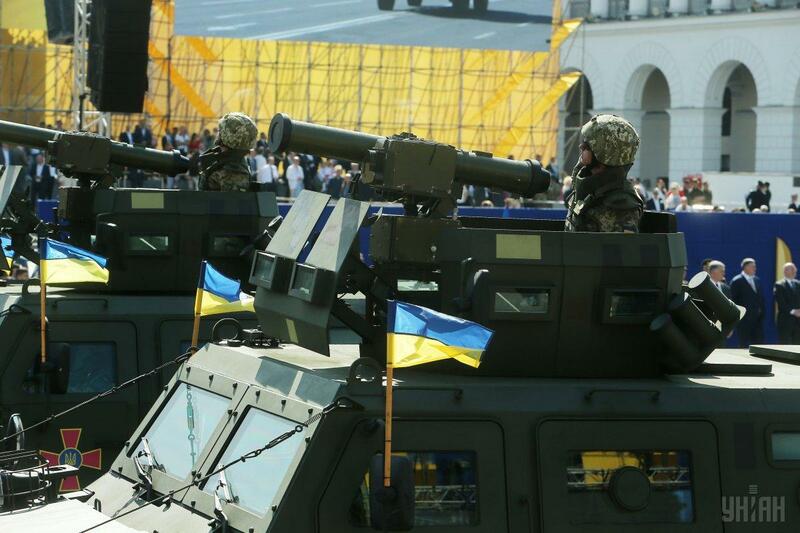 Read alsoPoroshenko at Kyiv parade: Tested by war, economic crisis, Ukraine "builds strong muscles"
The new military greeting "Glory to Ukraine! 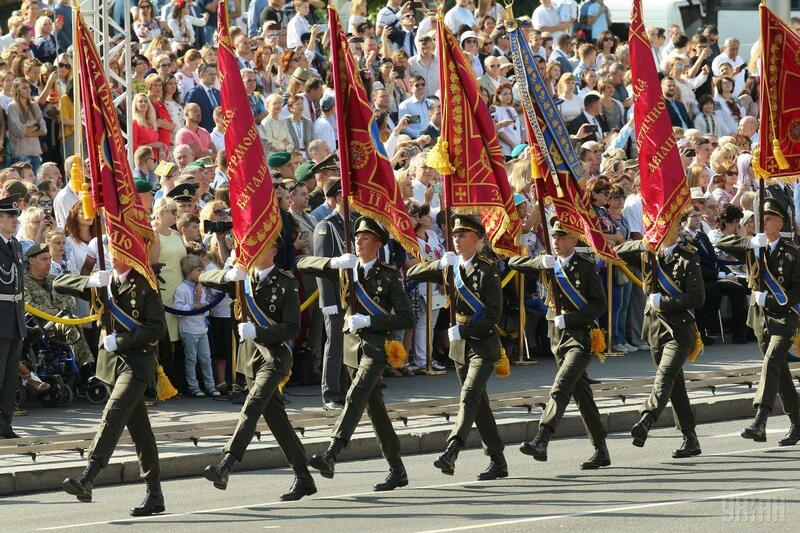 Glory to the Heroes!" 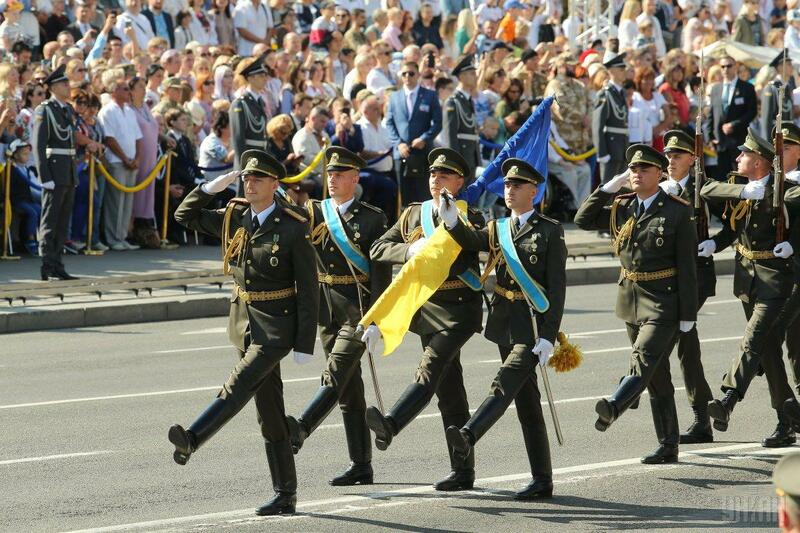 was officially chanted during the military parade for the first time over Ukraine's independence. 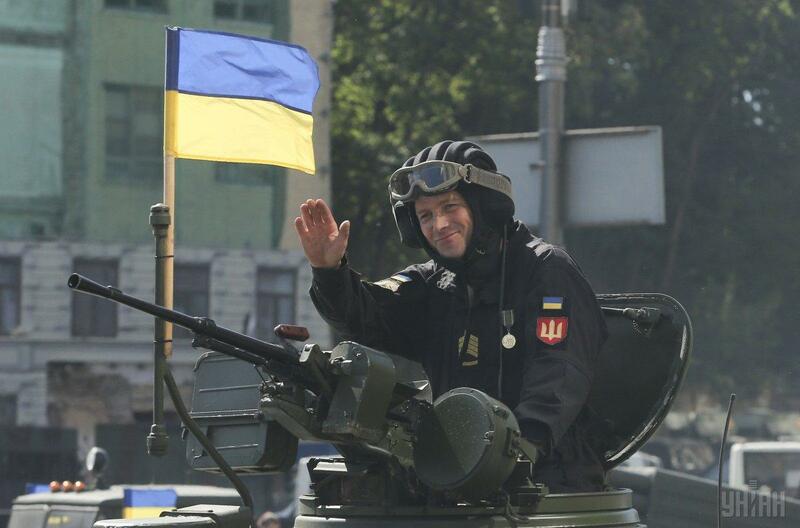 Previously, the army used the greetings inherited from the Soviet times. 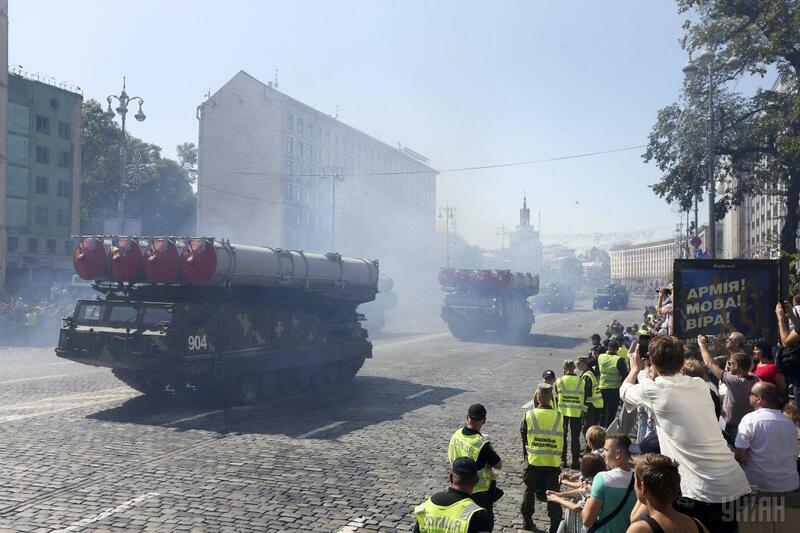 Some 250 units of military equipment were showcased during the event, some 4,500 military personnel took part in the parade. 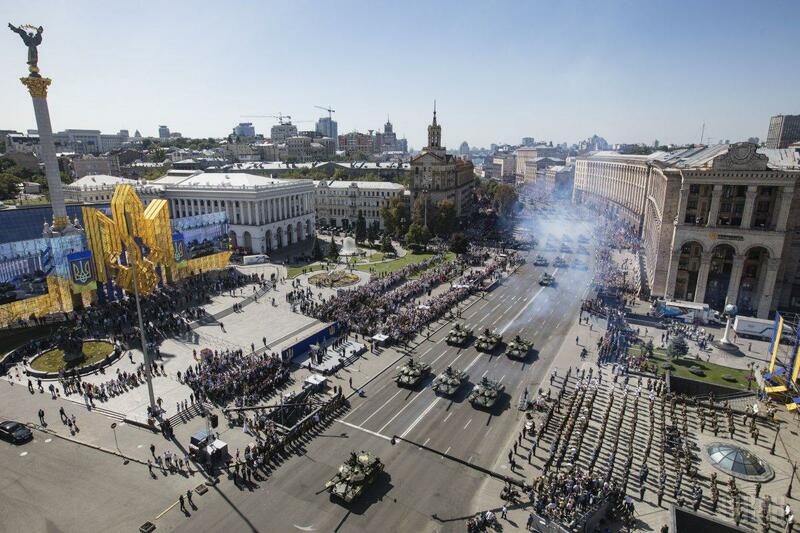 Units of the Armed Forces of Ukraine, the National Guard, the State Border Guard Service, the Security Service of Ukraine and other formations marched along Kyiv's major thoroughfare, Khreshchatyk Street. 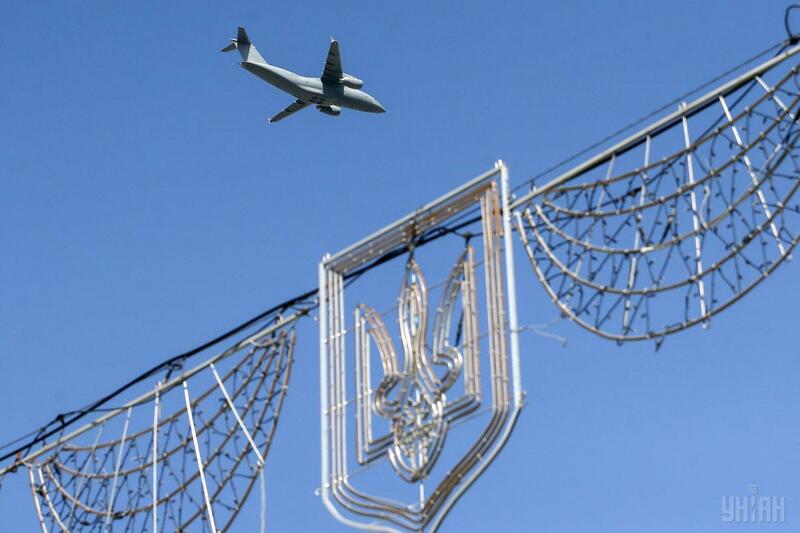 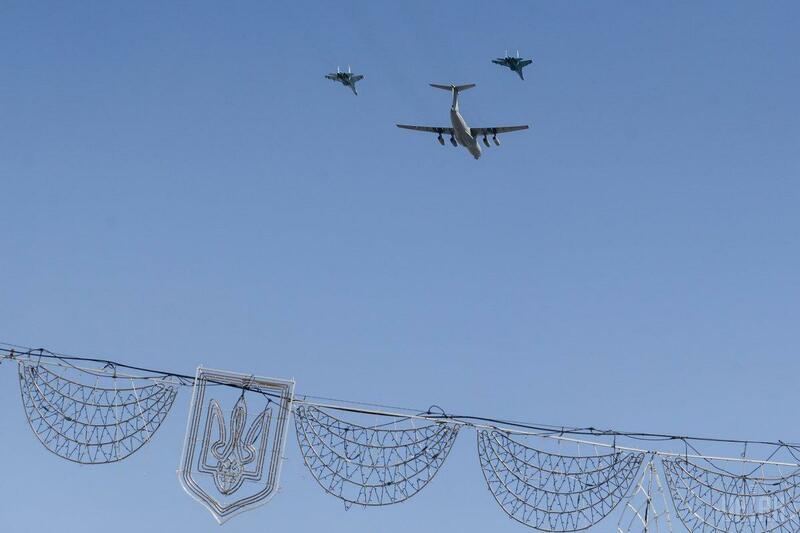 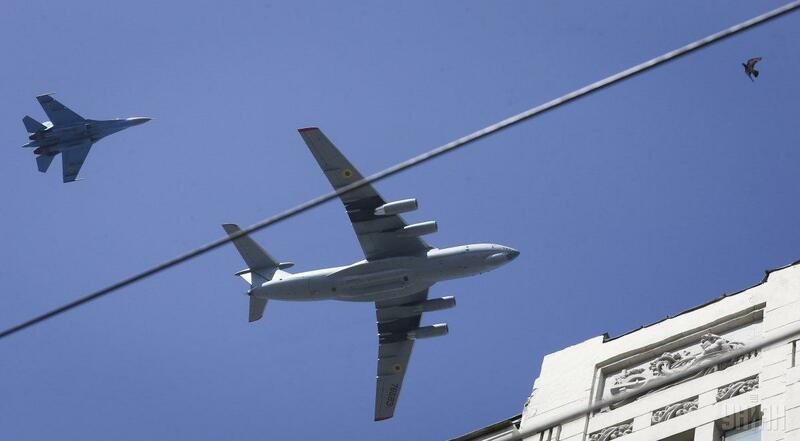 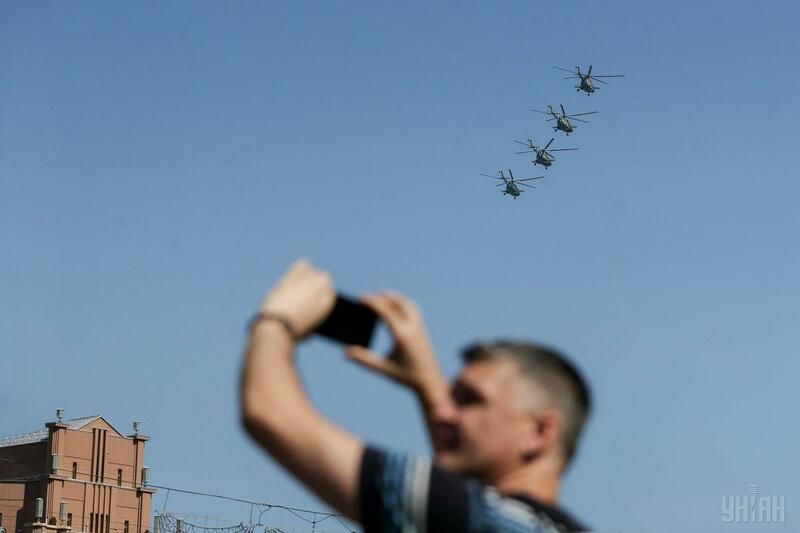 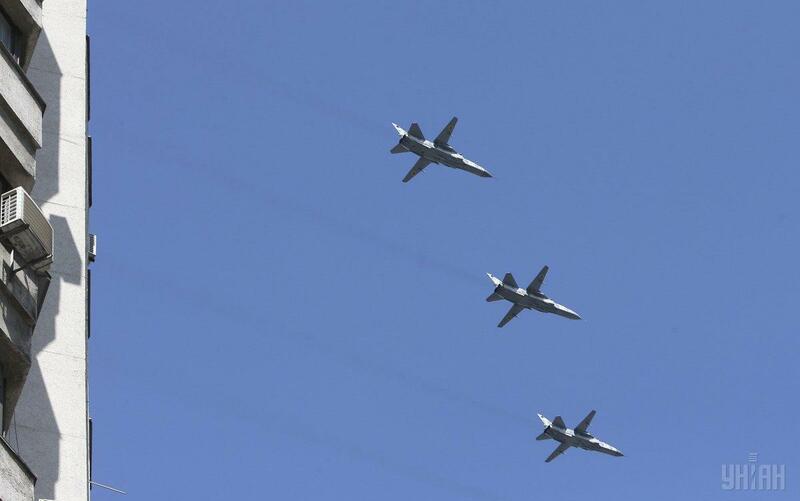 To close the parade, military aircraft and helicopters flew over Khreshchatyk and Maidan Nezalezhnosti (Independence Square).